Madison Wealth Management is a trusted financial planner and investment management firm founded in 2000. Madison works closely and confidentially with individuals, multi-generational families, business owners and charitable foundations as an independent, fee-only advisor and Fiduciary. We are an employee-owned firm with a credentialed team of dedicated fiduciary investment advisors. In addition, many of our professionals have been named Five Star Wealth Managers by Cincinnati Magazine for multiple years in a row. See Important Disclosures for additional information regarding these rankings. Place our team at the center of your customized plan, diligently working with you and coordinating with other trusted advisors – attorneys, tax advisors, insurance advisors – to deliver in-depth and ongoing wealth management services. 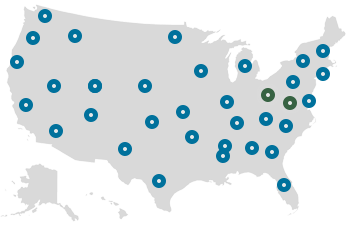 With offices in Cincinnati, Northern Virginia and Washington, DC, we manage portfolios ranging from $1 million to $25 million on behalf of our clients. Whether you are investing for retirement, handling an inheritance, building or selling a business, we are dedicated to helping you reach your goals. Madison is Your Trust, Invested Wisely℠.